Polish Pickup is back this week with a Duos & Pairs theme! The shop opens Friday, February 1 at 11AM EDT and the pre-order runs through 11:59 PM EDT on Monday, February 4. The Polish Pickup is a Facebook group and pop-up shop that offers monthly pre-orders of indie polish made to themes voted on by members of the group. 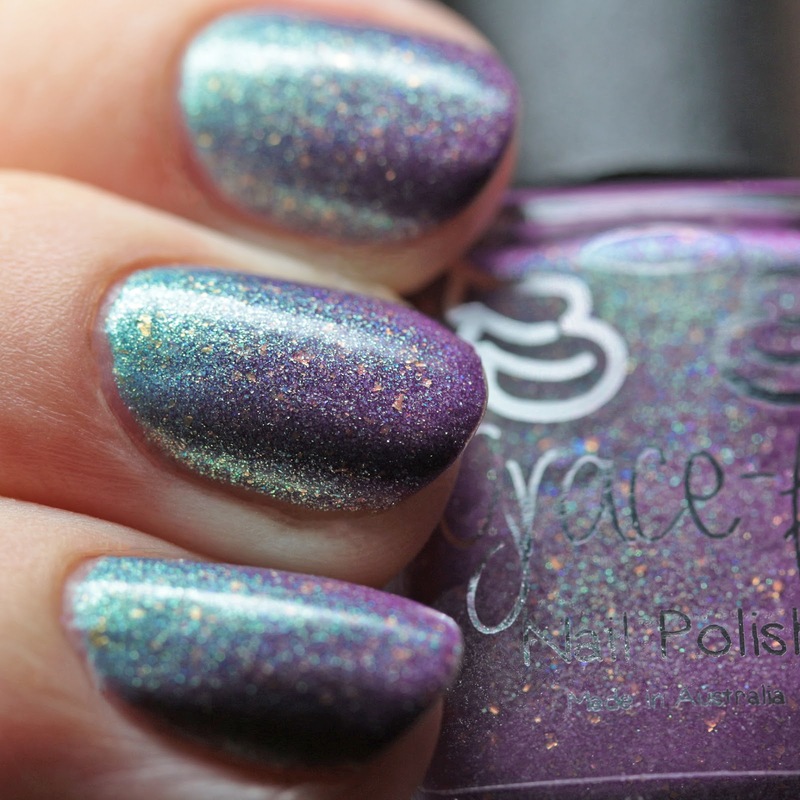 This post will show you a lovely, shimmery thermal made by Grace-full Nail Polish! Grace-full Nail Polish I've Got a Dream is a dark mint green (warm) and grape-magenta (cool) thermal with gold microflakes, and green-gold-to-blue duochrome microflake shimmer. It covers in one or two thin coats and has a slightly thicker formula than normal for the brand, but is self-leveling and manageable. It dries quickly and with a matte finish, but is shown here with top coat. 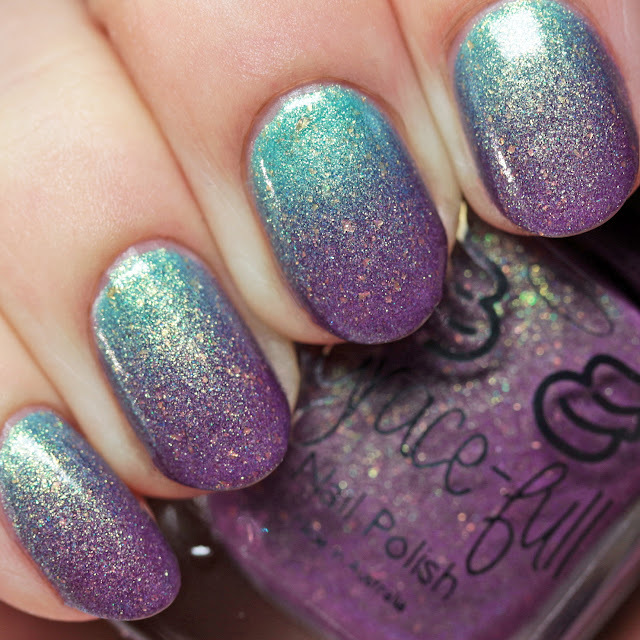 Description: A purple to tiffany blue - mint green thermal with aurora shimmer, strong gold shimmer and gold flakes throughout. At its coldest it’s a deep purple at the warmest state it’s mint green. Please note thermals have a 12 month shelf life. They also need to be treated very carefully and need to avoid cold and hot temperatures. Always store your thermal in a dark cool place to ensure it gives you the longest life possible. 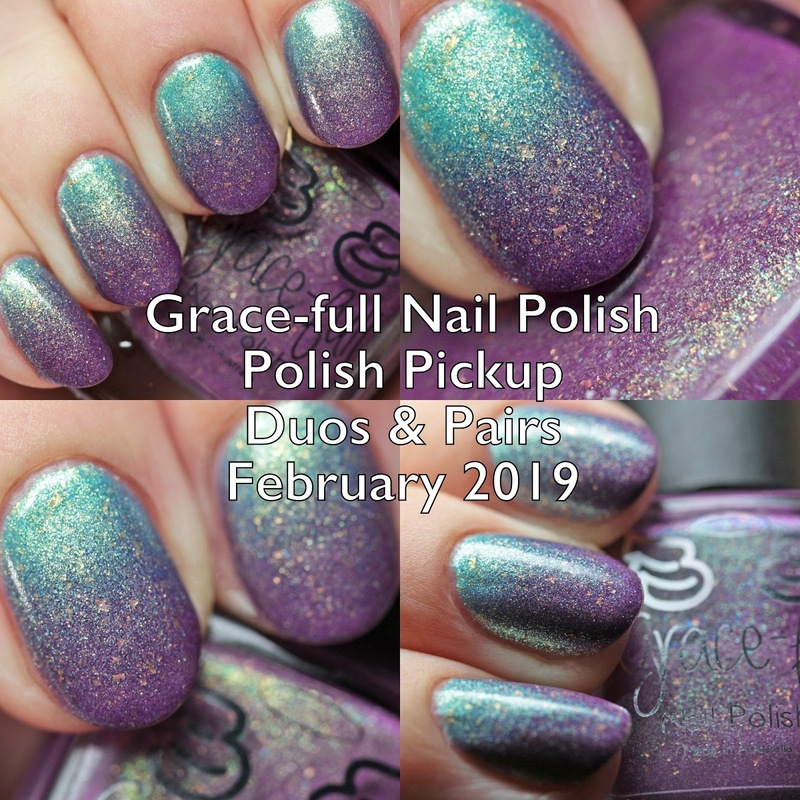 Polish Pickup opens Friday, February 1 at 11AM EDT with a Duos & Pairs theme and the pre-order runs through 11:59 PM EDT on Monday, February 4. 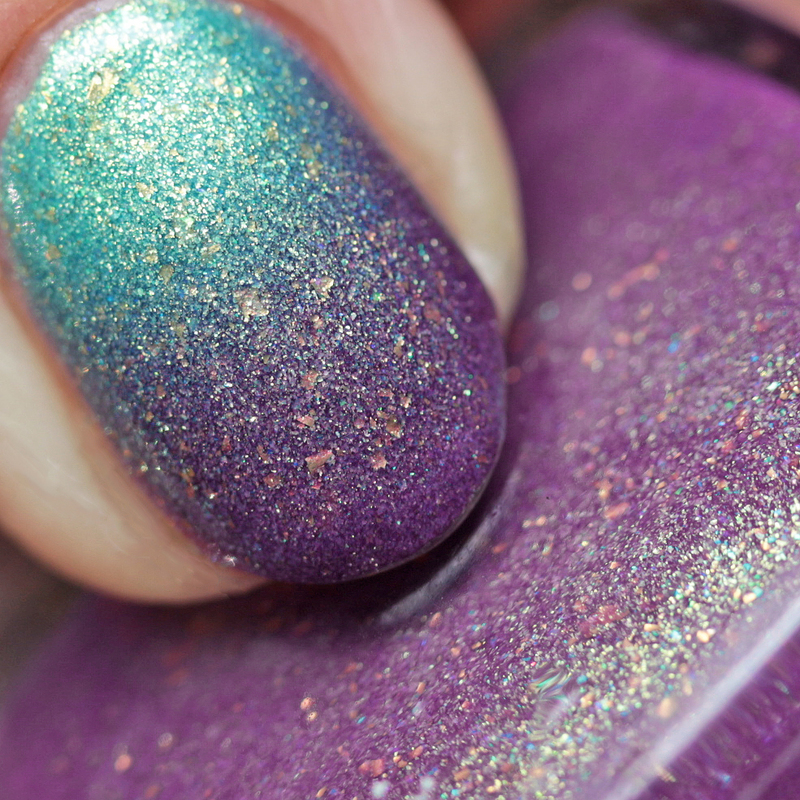 I love how shimmery and shifty this polish is and the color change is quite dramatic! It is hard to capture how much the greenish shimmer flakes shine in the purple cool state. 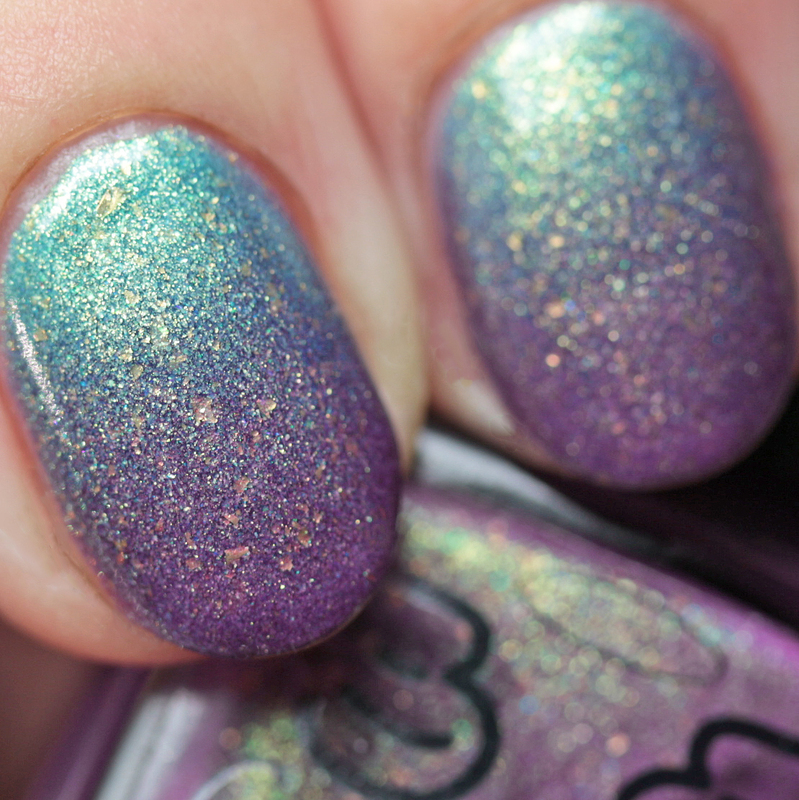 Stay tuned for more posts on this month's Polish Pickup!